Not totally satisfied with the stock exhaust system on your Mazda CX-7? Neither were we. Just like the MazdaSPEED vehicles, the CX-7's exhaust system is a poor compromise for such an exciting vehicle. Although the stock exhaust is quiet and comfortable for daily drivers, the exhaust note is bland, and the transition from single to dual exhaust is poorly executed in our opinion. We felt there was tremendous room for improvement in terms of sound and performance, so cp-e™ put their collective heads together and came up with what we feel is hands-down the highest quality, and best sounding exhaust system for the CX-7. We realize that the CX-7 community, by and large, does not want a loud and aggressive exhaust system for their luxo-cruiser. 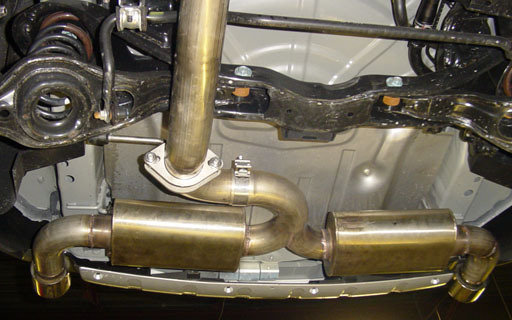 With this in mind, we built our cat back system around our highly successful, custom made 12" oval mufflers that we feature on our SPEED3 exhaust systems. 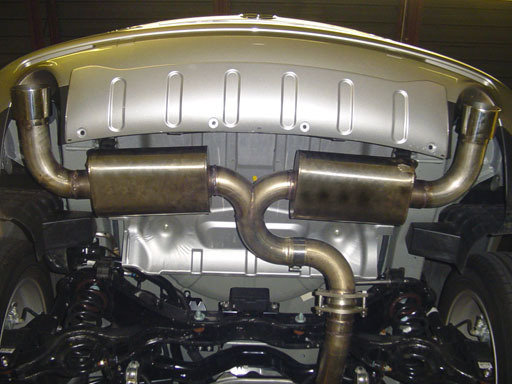 The mufflers are hand TIG welded, they are composed of 304 stainless steel, and the signature sound will grab the attention of any car enthusiast. Volume at idle is nearly unaffected as compared to stock, but when you stomp on the go-pedal, the difference becomes plainly obvious. The familiar stock exhaust groan is replaced by a slightly louder, raspier, and warmer grunt. Never overwhelming, the new cp-e™ sound will grab attention not from obnoxious noise, but because the sound is so exotic and unique. Please check out our sound clips below for a true representation of the sound! The exhaust system for the CX-7 comes in two pieces: The QuickPower™ pipe and the rear muffler section. Both are modular, so they can be mixed and matched with stock exhaust components. The QuickPower™ pipe is essentially a test pipe on steroids. 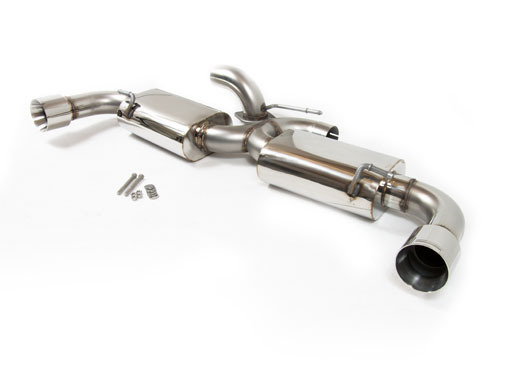 It replaces the second catalytic converter on the vehicle, and runs from the downpipe back to the muffler section. If you are looking to improve power over stock but keep the sound the same, opt for this piece. 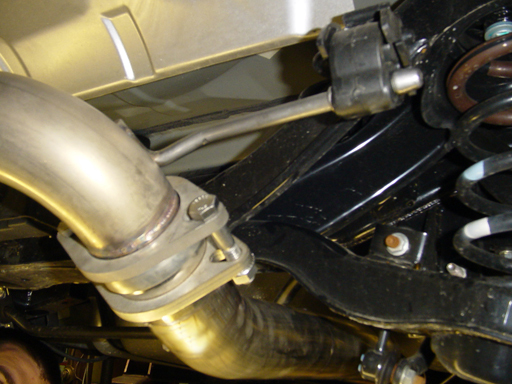 The rear muffler section bolts to the end of the QuickPower™ pipe, and can be mated to the stock CX-7 exhaust. So if you are looking for great sound, but are not so concerned with big power gains, opt for this piece. Finally, for the greatest performance and sound increase, choose both the QuickPower™ pipe and the muffler section!